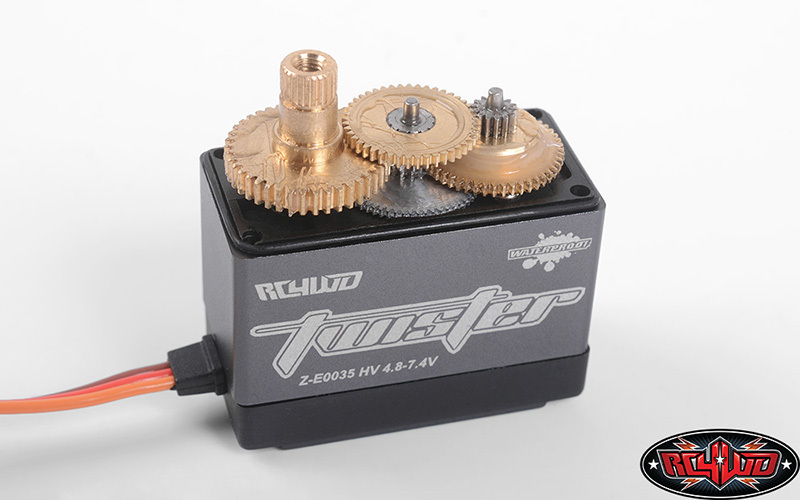 The Twister High Torque Metal Gear Digital Servo is built to provide the help you need with many different applications. 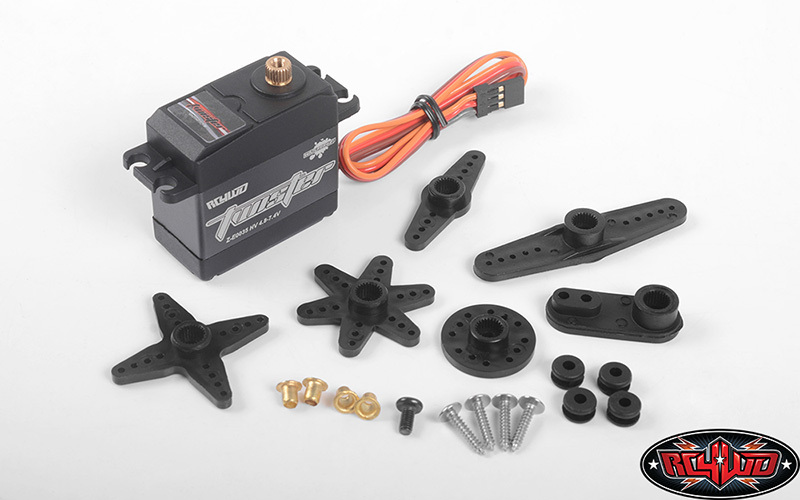 Can be used for Steering, Throttle, Winch and other areas. Metal gears to give you worry free construction. The aluminum case design not only looks good but also allows for cooler and smoother operating temps. 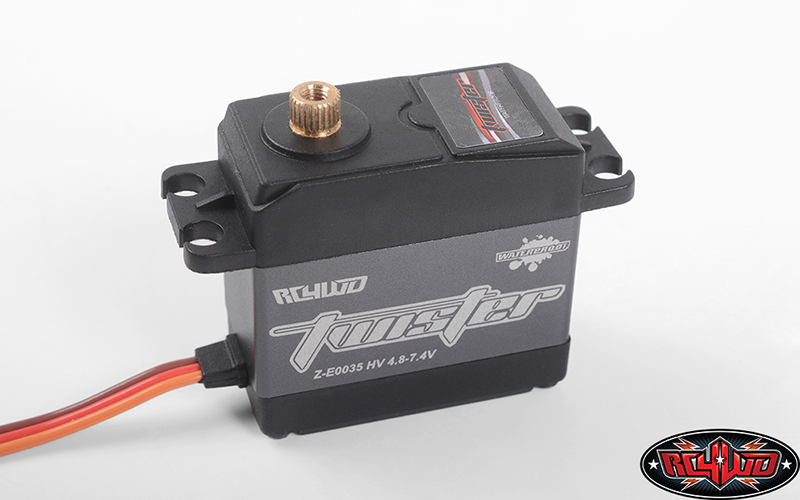 This is the servo that comes with the Gelande II Cruiser RTR and I've only run it a few times, but have had no problems with it. I think as long it's used for scale wheels/tires (not over-sized or too heavy), then it'll probably last a good while. 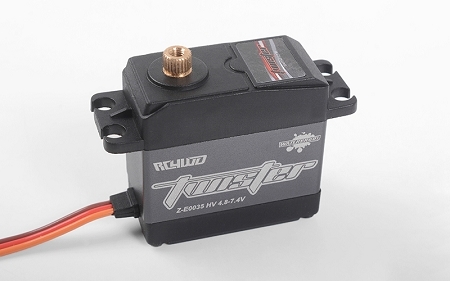 Just to note, it uses a Futaba style 25T servo horn.